It took 15 games, but reality made its 2018 season debut for the Mets this week. Amidst a cold April, the “how about those” Mets raced to a surprising red-hot franchise best 12-2 start to the 2018 season. However, on two cold autumn like evenings that only lacked falling leaves, the rival Washington Nationals took the first two games of a three game series against the Mets on April 16 & 17 at Citi Field by scores of 8-6 and 5-2. Fueled by a much-improved bullpen and timely hitting, the Mets early season success has already included a nine game winning streak. However, with the Mets bullpen having allowed only 10 runs over the first 14 games, five Mets relief pitchers were unable to protect a 6-1 lead for Jacob deGrom (12 strikeouts in 7 1/3 innings) on Monday night as the Nationals rallied for seven runs over the final two frames to take game one in New York after the Mets had swept the Nationals in Washington during the recent road trip. 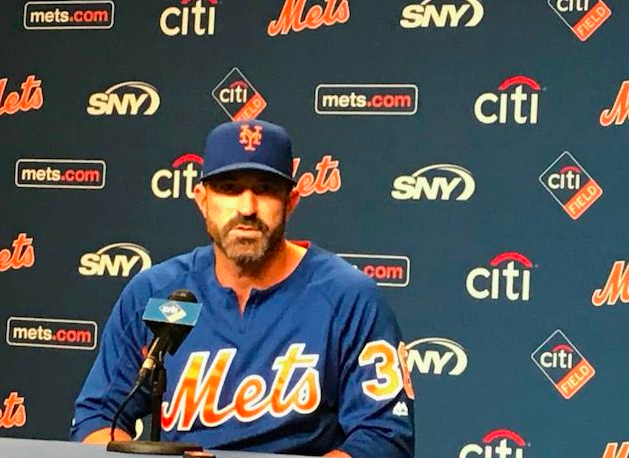 Since the Mets have relied heavily on their bullpen during the early going of the season, I asked Callaway at his pregame press conference on Monday if the team needed to get more innings out of their starters, in particular deGrom and Noah Syndergaard. One of the surprising contributors to the Mets early season success has been pitcher Robert Gsellman. 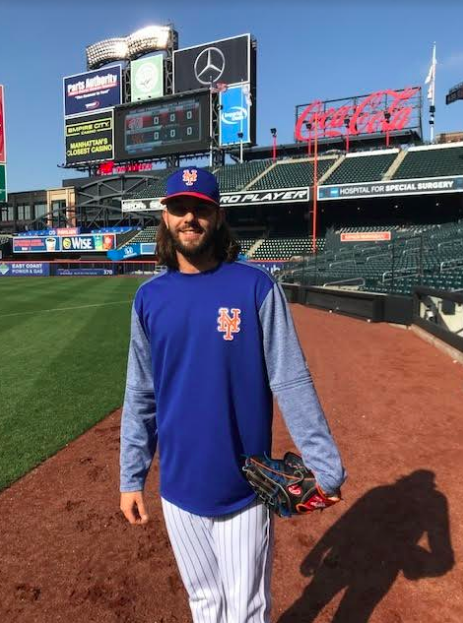 After being a starter during his professional career, Gsellman has been effective out of the bullpen this season and we chatted before Monday’s game. As for pitching under a new coaching staff, Gsellman said it’s been good because all coaches bring something different to the table and different experiences that can have a positive effect on a pitcher. Similar to outfielder Michael Conforto who thrived after his call-up in 2015 only to struggle in 2016, Gsellman helped carry the Mets a Wildcard berth as a rookie in late 2016 before faltering in his sophomore season. “2017 was a humbling experience,” he acknowledged, “But it makes you stronger.” If Gsellman can continue his early season success much like Conforto regained his form in 2017, it will go along way to assuring Monday night’s bullpen failure was a blip in a long season and not a trend. After concluding the current six game homestand against the Nationals on Wednesday, the Mets will travel to three different time zones as they play 10 games in 11 days in Atlanta, St. Louis, and San Diego before returning to warmer temperatures (hopefully) at Citi Field on May 1.